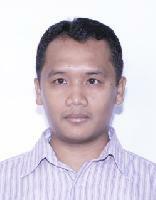 Dr Christiono Utomo S.T., M.T.,	Prof. Dr. Ir. 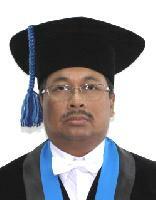 Nadjadji Anwar M.Sc.,	Nugroho Priyo Negoro ST, SE, M.T.,	Cahyono Bintang Nurcahyo S.T., M.T. Building’s design is developing to involve complexities of engineering systems, where design process requires various disciplines of participants to solve the complex issues. Collaborative design is developed with main purpose to facilitate the integration of multiple participants in design process to produce best design. This paper presents conceptual understanding, current practices, and theoretical framework of collaborative design. Literature review builds the conceptual understanding, exploratory study through indepth interviews to design managers and designers reveals the current practices, and grounded theory constructs the theoretical framework. The review had found three main indicators of collaborative design, and through those indicators it has been identified that collaborative design is implemented at design process. The interviews had revealed that best design is hard to be achieved although collaborative design has been applied. Through grounded theory analysis, it has been found that the lack understanding of Knowledge Management (KM) roles is found to be main issue collaborative design practices.